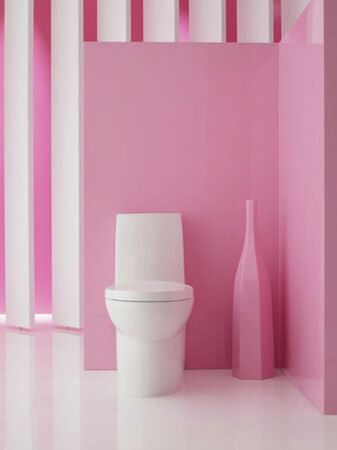 The Saile one-piece toilet offers a seamless, contemporary design highlighted by the sleek, skirted trapway. 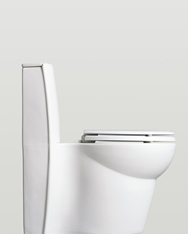 This compact elongated model features water-conserving Dual Flush technology, which includes 1.6- and 0.8-gallon flush options. Other Complimentary Kohler Products For Your Bathroom Collection. 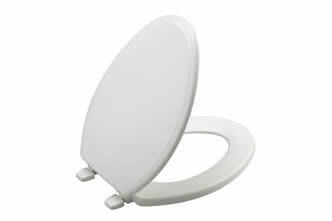 Ridgewood wooden toilet seats offer great design, durability and finish and are ergonomically designed for superior comfort. 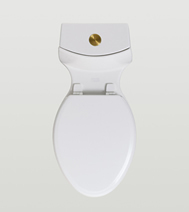 The color matched polypropylene hinges provide a secure attachment of the seat and the toilet. Designed to fit one and two-piece toilets.